Merchandise is out already. Look at this stuff! Pins are going to be the least of my worries! arielsdinglehopper and pincrazy like this. timeerkat and pincrazy like this. mickeymousje, arielsdinglehopper, pretty Omi and 6 others like this. Are those luggage tags? I kinda want the wall-e one..
Nope, they're two-sided (I think ceramic) ornaments (so the Inside Out ornament is Joy on one side and Anger on the other, the WALL-E ornament is WALL-E on one side and EVE on the other, etc.). Hehe, you're welcome. I'm gonna get the Inside Out one. I have almost every official Inside Out ornament that has been produced (as far as I know, I'm only missing the Grolier subscription Joy and Sadness). *vibrates* TOMORROW! I'm so excited! I saw the Toy story and Incredibles pins that are supposed to be released today. Is there anyone that can pick them up for me? I’ll post in the Pin Sale thread as well, but was hoping to catch the eye of someone that is definitely going. Work yesterday gave us free Pixar Fest socks and a bite of the Luxo Jr cake! Soooo good. PixiePost, pretty Omi, starry_solo and 1 other person like this. Just to let you know, DCA has a new pin game for Pixar Fest. It’s in front of a shop on the right when you enter DCA - it’s “Mini Monstropolis”, and you pick a door (including Boo’s!) and the CM opens the door and unveils a pin that you can decide whether or not you wanna trade for. Super cute! 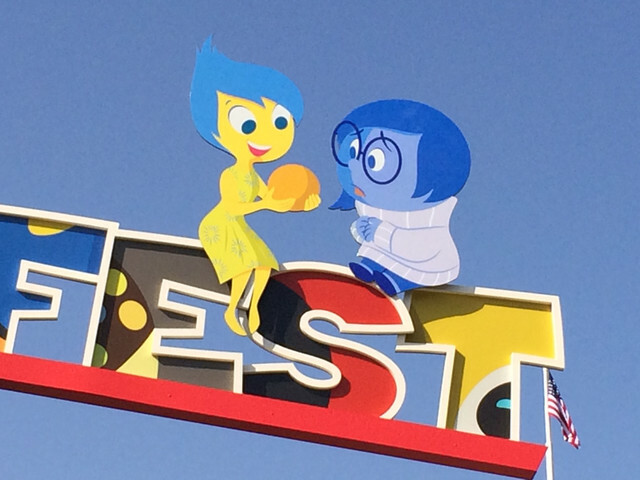 The first day of Pixar Fest was AMAZING! A bunch of photos of my day! 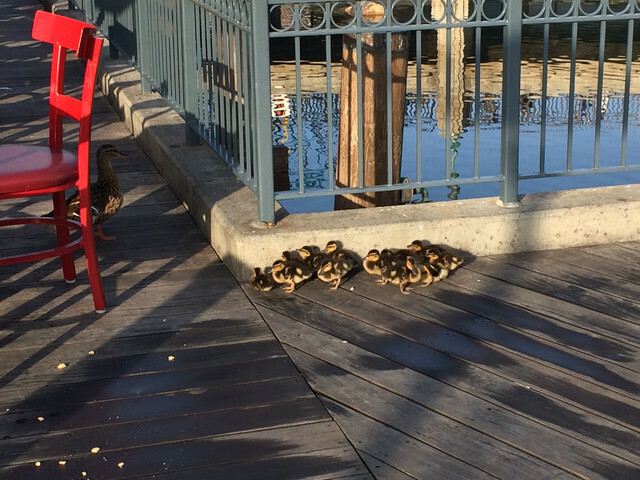 And we saw a momma duck and daddy duck with their twelve ducklings! And we rode Toy Story Mania and Ariel, both as walk-ons with no line. I also did some shopping at Knick Knacks (the pop-up Pixar Fest store where all the event merchandise is sold) and got the Inside Out Mickey ears and ornament. The AP tumbler was already sold out on Thursday (really hoping they get more in), boo! 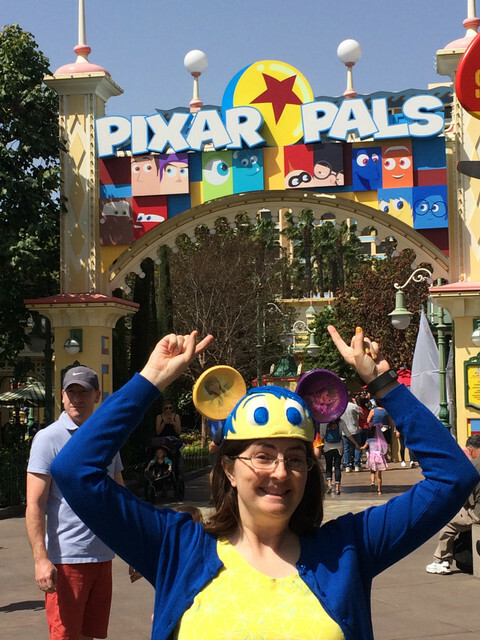 Darice left to go back with her mother, so I went to Cars Land to drop off my purchases for pickup later and rode all the rides in that area (again all walk-ons), then met up with Ann (@Addicted to Alice Pins ) and her BFF for breakfast at Flo's. I can't remember everything we did together or in what order (it was a freakin' LONG day! ), but we got fastpasses for Soarin', went on Ariel, and checked out the Pixar Pals back area. We also met up with Darice and her mom, and Connie (@Connies_Hobby ) for a bit. 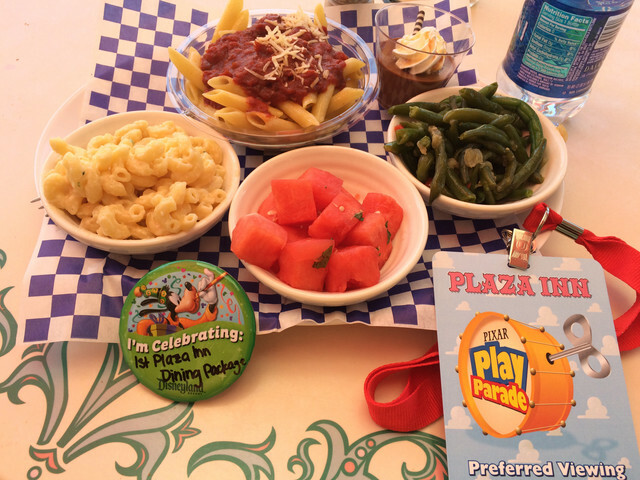 I got the Pixar Play Parade dining package at Plaza Inn for lunch, which included a several-course meal and seating in the reserved section for the Pixar Play Parade. Lunch was really good, though I think it's funny that mac and cheese is one of the sides for the pasta main dish. For the reserved seating, I got a really nifty lanyard, and they made buttons for everyone who had the dining package for the first parade. 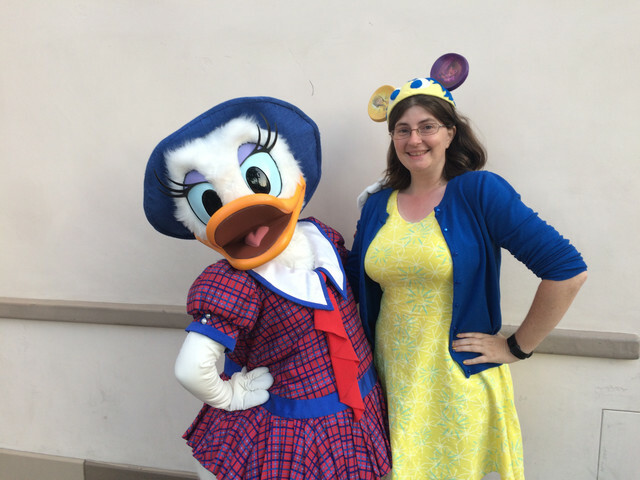 After lunch I met back up with Ann and BFF and we did Small World (though on our walk back to that area we ran into Alice and the Mad Hatter, so Ann got a photo with them on her birthday! After Small World we very briefly met up with Mark (@AvatarAng1 ), before heading off so I could make the 3:30 Play Parade. 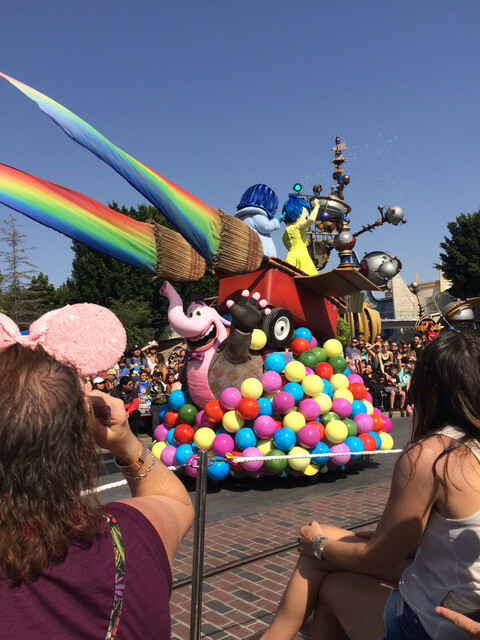 The reserved section had a great view, and I got some pretty awesome shots of the parade. 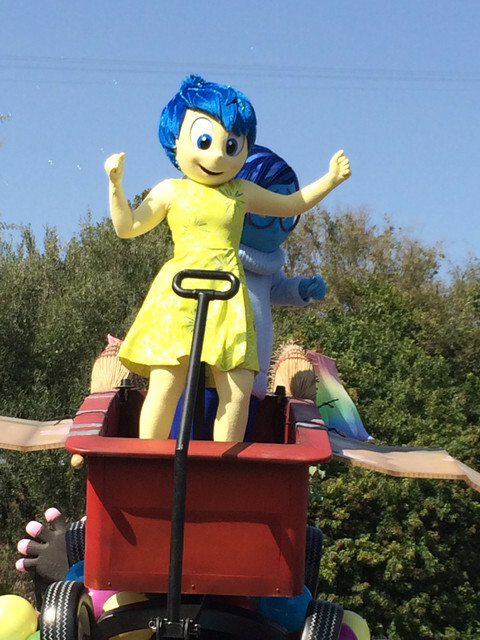 And the new Inside Out float is awesome! And I love the way they designed Kevin! 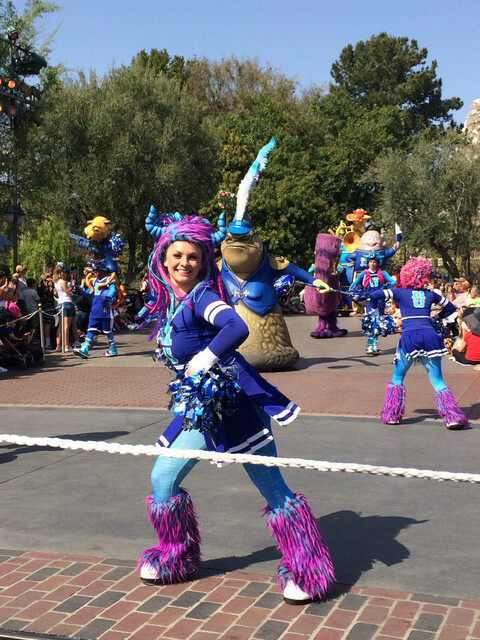 And the character attendant cast member was awesome. 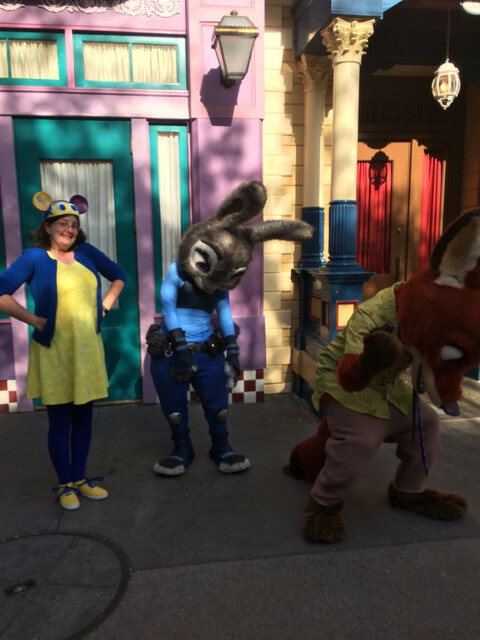 To go along with my outfit, first she got them to pose as Sadness and Disgust, since Judy was wearing blue and Nick was wearing green. Then she had Nick switch to Anger since he's reddish. After that I headed to AP corner and picked up my free decals, then headed over to the Animation Academy. 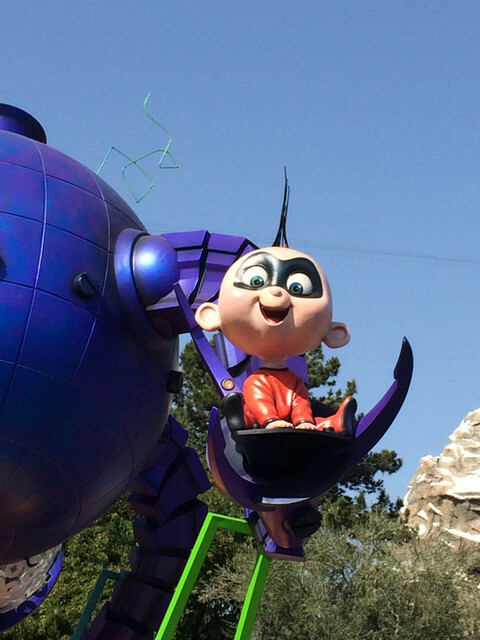 They added a ton of Pixar characters to the rotation, and one of them was Bing Bong! Bign Bong was really fun to draw, and I'm really hoping they add some of the emotions over the next few weeks. As I was leaving the Animation Academy, I passed by Daisy! 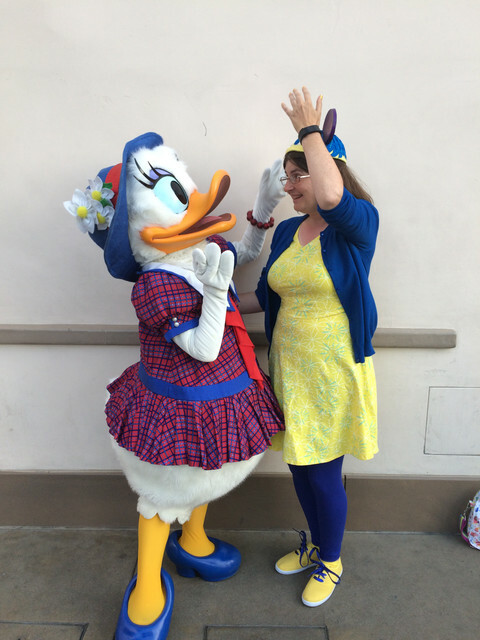 I always seem to miss her and have never met her in DCA when she's in her dapper outfit. We admired each other outfits. I met back with Ann/BFF for a bit one last time before heading over to Downtown Disney to hop online for a moment, and then went to Disneyland for the new fireworks show, which is AMAZING!!! I didn't have a perfect view of the castle and lower fireworks since I was positioning myself at the end of Main Street to be closer to the exit after the fireworks show, but I had a great view of the projections on the buildings of Main Street. I plan to watch it from different areas on my next few visits (close to the castle, near Small World, etc.). After the fireworks, I went back to DCA to see Paint the Nights, which was awesome to see again. 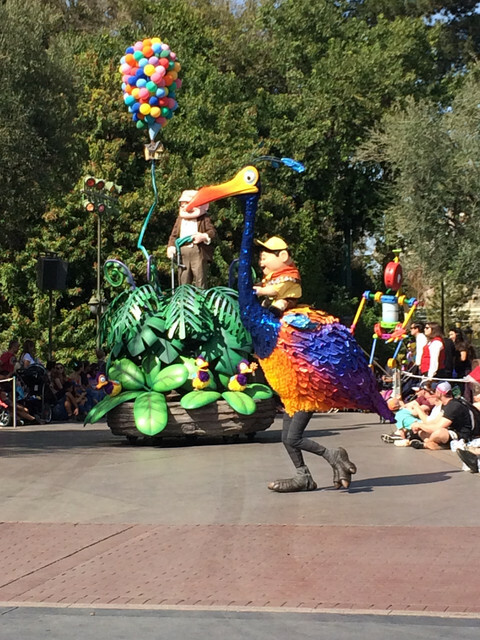 It's probably my favorite night parade, even a bit more than Main Street Electrical Parade. Once the parade was over it was around 11:30, so I went to pick up my held merchandise and headed home. Got home at around 1 am, and then proceeded to pass out for the next 9 1/2 hours, haha! Booger1964, LadyBarclay, Spr175psu and 9 others like this. Looks like a blast! Thanks for showing us what it all looks like! Holy cow that looks like so much fun! I'm really glad you got to go and enjoy it. Kevin is so cooooooool!!!! Love your outfit! I agree, Kevin is amazing, especially because Russell is on her back! Thanks for the pics! Walking through the parks with Tessa was like being with a celebrity. 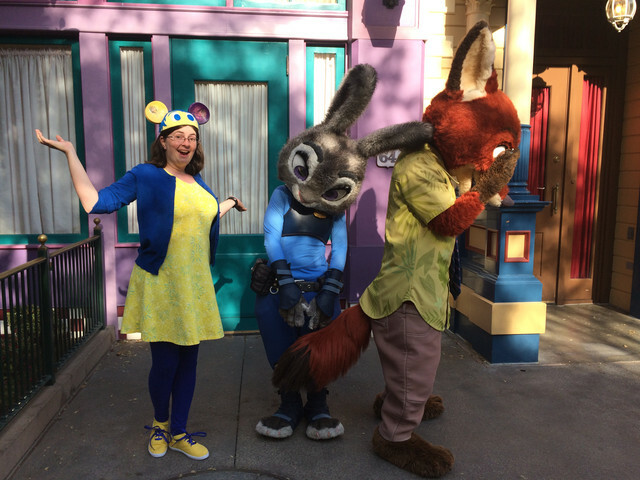 Soooo many people loved her Joy outfit (especially the ears). It was fantastic! pincrazy, pretty Omi, timeerkat and 2 others like this. :3 D'awww, thank y'all for the compliments! I got that dress a few years ago but hadn't worn it before because I generally do not like wearing dresses unless it's for a special occasion. 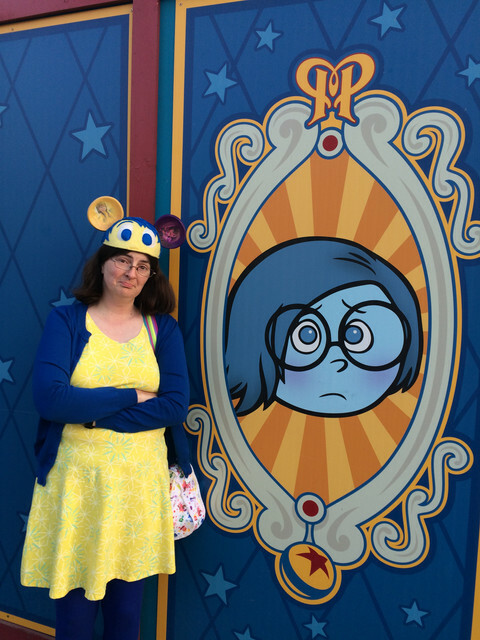 But I will probably wear it out more often to Disney, especially when focusing on Pixar stuff. And you guys! 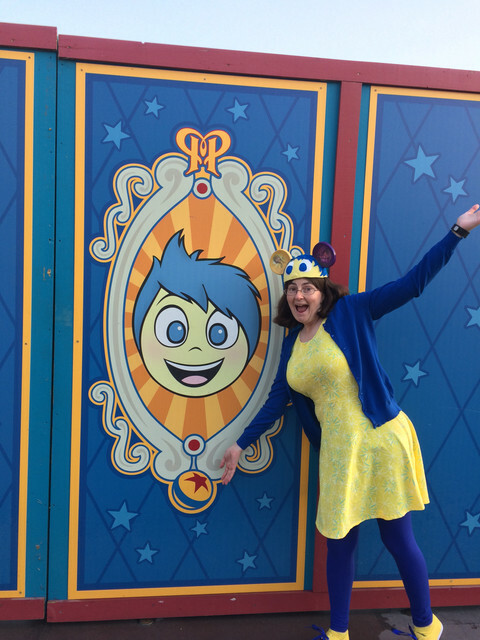 Shop Disney has some Inside Out Pixar Fest merchandise that wasn't at the parks! (At least not as of Friday.) 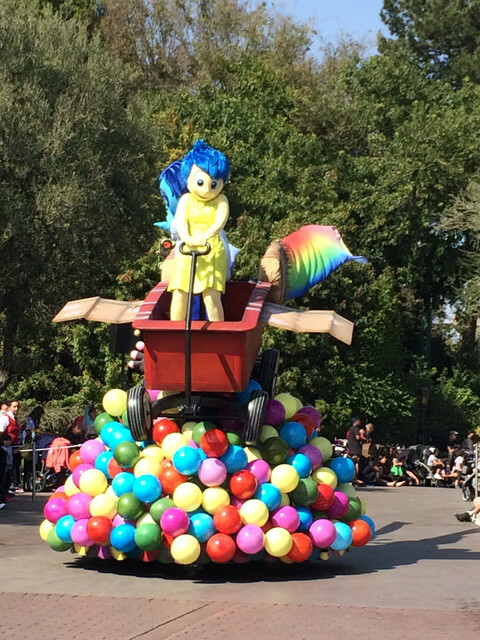 There's a tumbler of only Inside Out characters and a set of little stainless steel cups with an emotion on each. I still had my $25 coupon code from the Park Pack delay, so I was able to snag the tumbler for just a few bucks. Now at least I'm covered if I can't get the AP Tervis tumbler from the parks. Does anyone know if the Pixar fest jumbo pin is sold out or not, because over on Mice Chat, there's a photo of one on display taken over this weekend at one of the stores. 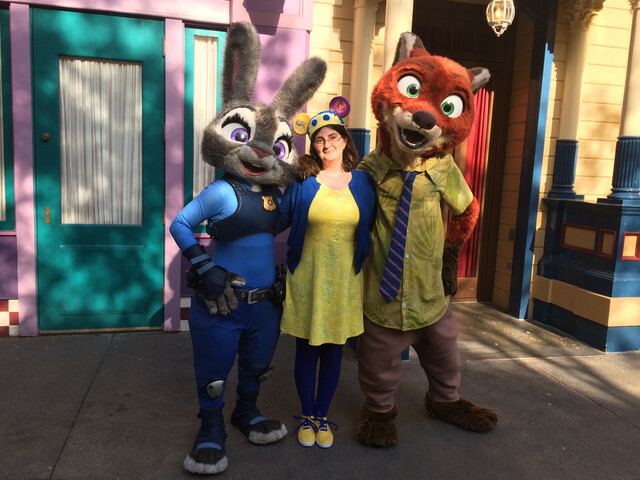 The photo is in the most recent Disneyland Update section. That's odd that there would be one on display from this weekend, since the jumbo (supposedly) sold out before the event opened on Friday. The AP jumbo supposedly sold out on Wednesday, but I was able to find some on Thursday at Knick Knacks the Pixar Store. But on Friday at opening it was no longer on display, and CM confirmed it sold out, but maybe they found few more? It could be someone returned the pin.